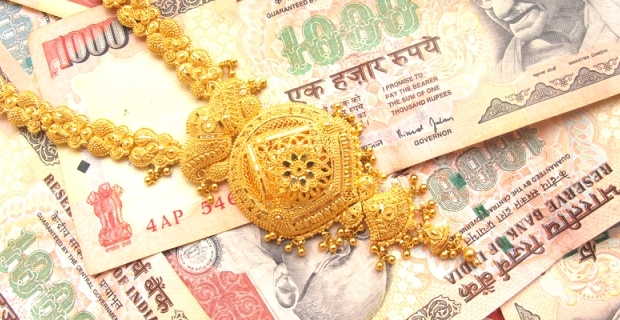 Law Web: Whether offence of dowry death is made out if offence U/S 498A of IPC is not made out? Whether offence of dowry death is made out if offence U/S 498A of IPC is not made out? The last ingredient is based upon the commission of offence under Section 498A IPC and while committing the offence under Section 498A IPC, if it connects with the death, then it would be an offence punishable under Section 304B IPC. The prosecution has failed miserably to establish beyond reasonable doubt that any cruelty or harassment was meted out to the deceased by the appellant, let alone soon before her death. The testimony of above mentioned prosecution witnesses to the effect that TV or fridge was demanded per se does not establish the cruelty and harassment towards the deceased. Evidently, the death of the deceased had taken place on 02.08.1987 i.e. within one year of marriage. The prosecution has failed to establish that after the marriage of the deceased, there were circumstances of harassment or cruelty that took place on account of demand of dowry which could connect with the death of the deceased. 22. The presumption under Section 113B of the Evidence Act can be drawn only where the ingredients of Section 304B IPC are fulfilled. The prosecution has failed to establish the necessary ingredient of dowry death i.e. cruelty or harassment meted out to the deceased by the appellant what to say soon before her death. As mentioned above, the prosecution has failed to prove the chain of necessary ingredients to raise the presumption under Section 113B of the Indian Evidence Act. 23. From no stretch of imagination, the evidence led by the prosecution in the present case could culminate into conviction of the appellant under Section 304-B read with 34 IPC. P.S. Teji, J.:— Aggrieved by the judgment of conviction dated 11.07.2002 convicting the appellant finding him guilty under Section 304B IPC and order on sentence dated 12.07.2002 vide which the appellant was sentenced to undergo seven years rigorous imprisonment for the offence under Section 304B IPC, the present appeal has been preferred. 2. The factual matrix emerges from the record is that the FIR No. 403.1987, under Section 304B/34 IPC, Police Station Tilak Nagar was registered on the basis of statement made by the complainant Naresh Kumar. He had stated that the marriage of his sister Renu was solemnised with the appellant Ramesh Chander on 16.08.1986 according to Hindu rites and ceremonies. Initially, his sister did not say anything but she was found to be unsatisfied. After some months of marriage, she stated that she was harassed by her in-laws. She also stated that she was taunted for bringing insufficient dowry by her husband and in-laws. Ultimately, Renu committed suicide by burning herself which resulted into registration of FIR of the instant case. After completion of investigation, charge sheet was filed in the Court. 3. Charge under Sections 304B read with Section 34 IPC was framed against the appellant to which he pleaded not guilty. The prosecution had examined as many as sixteen witnesses namely PW1 Naresh Kumar, PW2 SI Ajit Singh, PW3 SI Rampat, PW4 HC Ishwar Singh, PW5 Kanwal Nain Narang, PW6 Shyam Sunder, PW7 HC Vikram Prasad, PW8 Promila Budhiraja, PW9 Insp. Devender Singh, PW10 ASI Jai Bhagwan, PW11 HC Sheo Ram, PW12 Lajpat Rai, PW13, HC Gajraj Singh, PW14 SI Bhim Singh, PW15 Mahinder Kumar and PW16 Insp. Gurdev Singh. The statement of the appellant was recorded under Section 313 of the Cr.P.C. 4. So far other co-accused Munshi Ram and Kanta Rani are concerned, proceedings against them were abated since they died during the pendency of trial. 5. The appellant was held guilty vide judgment of conviction dated 11.07.2002 and passed the order on sentence on 12.07.2002. (a) The impugned judgment is contrary to law and facts. (b) There is no legal evidence against the appellant to convict under Section 304-B IPC. (c) There was no earlier complaint regarding any demand or harassment for dowry against the appellant. (d) There was no charge under Section 498A IPC, as such his conviction under Section 304-B IPC is bad in law. (e) Medical evidence does not support the case of prosecution. (f) No evidence that soon before her death, the deceased was subject to cruelty or harassment for dowry. (g) There is delay in lodging the FIR which has not been explained. 6. Learned counsel for the appellant has argued that the allegations levelled against the appellant are general in nature. In the entire FIR, there is no specific allegation. The complainant has not given any specific date and time on which alleged demand of dowry was made from the deceased or her parents. The allegations are general in nature which cannot be made a ground to convict the appellant. It was further submitted that there are inconsistencies in the statements of the prosecution witnesses which makes their testimony unworthy of credence. There is no evidence on record to show that there was any cruelty or harassment to the deceased on account of demand of dowry soon before the death of the deceased. 7. In support of the above contentions, learned counsel has relied upon the judgments in the case of Suraj Mal v. The State (Delhi Administration) AIR 1979 SC 1408, Rakesh v. State of Madhya Pradesh 1999 Cri.L.J. 4915, Meka Ramaswamy v.Dasari Mohan 1998 Cri.L.J. 1105, State v. Sohan Lal 2011 (3) JCC 1966 and Durga Prasad v. State of M.P. 2010 (3) JCC 1852. 8. Per contra, arguments advanced by learned Additional Public Prosecutor for the State is that the appellant has been rightly held guilty under Sections 304B IPC by the trial court. The parents as well as other relatives of the deceased have duly supported the case of prosecution that the deceased was subject to cruelty and harassment on account of demand of dowry by the appellant. There is sufficient evidence against the appellant to hold him guilty for causing dowry death of the deceased. 9. Arguments advanced by the learned counsel for the petitioner and learned APP for the State were heard. (I) PW1 Naresh Kumar, brother of the deceased had stated that Renu was married to accused Ramesh Chander on 16.08.1986 according to Hindu rites and after marriage, she started living with her husband. Besides the dowry given in the marriage, the accused demanded a ring to be given to his step brother Rakesh and the same was given. Renu was disgusted and dissatisfied whenever she visited her matrimonial home but did not say anything. After 2-3 months of marriage, they came to know from her neighbours that in-laws of Renu were harassing her. When the mother of PW1 asked Renu, she told her that her life was ruined. She also stated that accused Ramesh Chander and his other relatives used to taunt the deceased for bringing insufficient dowry and for not bringing TV and fridge etc. PW1 further stated that Renu was working as UDC in Central Irrigation and Power and Kanta used to deprive her of her entire salary. Accused Ramesh had imputed illicit relations of Renu with other boys. PW1 also came to know about demand of dowry and other articles and also of harassment meted out to Renu from Renu herself. After sometime, Renu and her husband shifted to some other house but other accused persons continued to visit them and interfer in their marital life. (II) PW5 Kanwal Nain Narang had stated that deceased Renu was the younger sister of his wife. Parents of Renu gave dowry as per their capacity. Prior to the marriage, accused had insisted that one gold ring be given to Rajesh, younger brother of accused Ramesh Chander and the said demand was fulfilled. In his presence, on the asking by mother of the deceased, the deceased informed that in the night of 17.08.1986, Ramesh consummated the marriage with her and left the room at about 12 midnight and despite her insistence, he did not come back and slept outside. Renu also mentioned that her husband and his parents used to beat her time and again. The accused also stated that they would not give the status of wife to the deceased till she brings TV and fridge. PW5 also stated that after a few days, he rang up Renu when she stated that accused persons were still beating and ill-treating her and were insisting for fridge and TV. (III) PW6 Shyam Sunder had stated that deceased Renu was the daughter of his brother Hari Krishna. PW6 had met Renu 5/6 times after her marriage. Renu never told PW6 anything against the accused but PW6 came to know through the mother of deceased that Renu was not leading a happy married life. In-laws of Renu had been making illegal demands of many articles. During cross-examination, PW6 had stated that he had heard deceased complaining to her mother that her life was spoiled. Husband of the deceased had illicit relations with his step mother. Renu had complained to her mother that her mother-in-law and husband were demanding TV and fridge and that she was beaten and tortured. PW6 along with mother of Renu and other relatives went to the house of the accused in November 1986 and in February 1987. (IV) PW8 Promila Budhiraja had stated that deceased Renu was her colleague. PW8 never had a talk with the deceased about her family members and married life. (V) PW12 Lajpat Rai had stated that on 11.08.1997, he along with Naresh went to Police Post Hari Nagar where Naresh handed over one inland letter written by the deceased to her mother, one letter written by deceased to Maharaj Radha Swami and one wedding card of Renu to the police which were seized by the police. (VI) PW15 Mahinder Kumar had stated that he knew accused Ramesh who was married to Renu. He had talked to Renu once who told him that she wanted to live separately with her husband from her in laws. Accused Ramesh started living with Renu in Hari Nagar. Renu had told PW15 that accused Ramesh was not talking to her. “In any case, to hold an accused guilty of both the offences under Sections 304B and 498A, IPC, the prosecution is required to prove beyond reasonable doubt that the deceased was subjected to cruelty or harassment by the accused. From the evidence of the prosecution witnesses, and in particular PW1 and PW4, we find that they have made general allegations of harassment by the appellant towards the deceased and have not brought in evidence any specific acts of cruelty or harassment by the appellant on the deceased …..
11. As per the ratio of the law settled down by Hon'ble Apex Court in Vipin Jaiswal's case (supra), in the absence of specific allegations like date, time and incident that too by public witnesses who were not found reliable and trustworthy, the prosecution had failed to establish beyond reasonable doubt that the deceased was meted with cruelty and harassment by the accused persons for or in connection with demand of dowry. 12. The plea has been taken by the appellant that neither the deceased nor any of her family member had ever made any complaint against the appellant or his family members with regard to demand of dowry or harassment or cruelty meted out to the deceased on account of demand of dowry. 13. From the evidence mentioned above and the law laid down by Hon'ble Apex Court in case of Vipin Jaiswal (supra), the allegations levelled against the appellant are general in nature and the evidence led does not inspire the confidence of the Court to hold the guilt of the appellant under Section 498A read with Section 34 IPC. 14. The appellant was charged under Section 304B read with 34 IPC for causing dowry death of the deceased Renu. 15. In the case of Devi Lal v. State of Rajasthan AIR 2008 SC 332, Hon'ble Supreme Court has observed that the ingredients of provisions of section 304B IPC are (1) that the death of the woman was caused by any burns or bodily injury or in some circumstances which were not normal; (2) such death occurs within 7 years from the date of her marriage; (3) that the victim was subjected to cruelty or harassment by her husband or any relative of her husband; (4) such cruelty or harassment should be for or in connection with the demand of dowry; and (5) it is established that such cruelty and harassment was made soon before her death. It was further observed that before an accused is found guilty for commission of an offence, the Court must arrive at a finding that the ingredients thereof have been established. It was held that statement of a witness for the said purpose must be read in its entirety. It is not necessary for a witness to make a statement in consonance with the wording of the section of a statute. What is needed is to find out whether the evidences brought on record satisfy the ingredients thereof. (iii) Such death was the subject matter of cruelty soon before death. 17. As far as death of the deceased Renu is concerned, it is not in dispute that she died due to burning which shows that the death of the deceased was not under normal circumstances and was due to the bodily injuries which fulfil the first ingredient for the commission of offence under Section 304B IPC. 18. The second ingredient that death of the deceased had taken place within seven years of her marriage with the appellant is established from the evidence, as marriage had taken place on 16.08.1986 and her death took place on 02.08.1987 i.e. very next year. 19. The next and the most important ingredient required to be proved from the evidence is that the deceased was subjected to cruelty and harassment on account of demand of dowry by her husband or any relative of her husband and that was done soon before death. The prosecution has produced PW1, PW5, PW6, PW8 and PW15 to prove these ingredients. PW1 happened to be brother of the deceased, PW5 happened to be brother-in-law of the deceased, PW6 happened to be uncle of the deceased and PW8 happened to be colleague of the deceased. The detailed discussion of their testimony has already been made. It is necessary to establish the offence of Section 498A IPC to prove the charges under Section 304B IPC. Discussion made above shows that the prosecution has failed to lead sufficient evidence to prove the guilt of the appellant under Section 498A IPC, which tantamount to not proving the commission of offence under Section 304B IPC. 20. The last ingredient is based upon the commission of offence under Section 498A IPC and while committing the offence under Section 498A IPC, if it connects with the death, then it would be an offence punishable under Section 304B IPC. The prosecution has failed miserably to establish beyond reasonable doubt that any cruelty or harassment was meted out to the deceased by the appellant, let alone soon before her death. The testimony of above mentioned prosecution witnesses to the effect that TV or fridge was demanded per se does not establish the cruelty and harassment towards the deceased. Evidently, the death of the deceased had taken place on 02.08.1987 i.e. within one year of marriage. The prosecution has failed to establish that after the marriage of the deceased, there were circumstances of harassment or cruelty that took place on account of demand of dowry which could connect with the death of the deceased. 24. Consequently, the judgment of conviction dated 11.07.2002 and order on sentence dated 12.07.2002 are hereby set aside and the appellant is hereby acquitted of the charge framed against him. 25. The appellant is already on bail. The bail bonds and surety bonds furnished by the appellant stand discharged. 26. The appeal is disposed of accordingly. 27. Pending application, if any, is also disposed of.